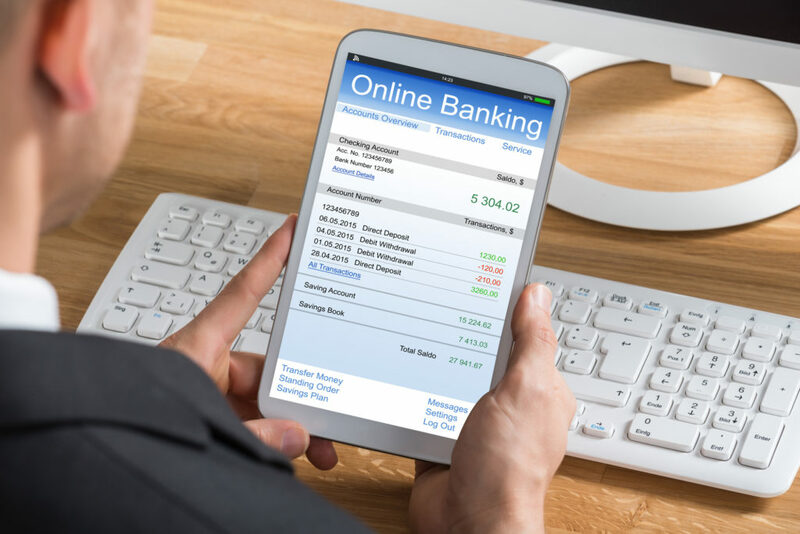 Do you do your banking electronically? If so, you’ve probably come across an ACH transaction at least once or twice. Here’s what that means. Checked out your bank statement lately? All good, upstanding adults do it. In fact, in one poll about 55% of the participants did it at least once a week. Those are pretty impressive stats, but do you understand what exactly it is you’re looking at? Maybe you do or not. Your bank statement lists all your transactions for each account. But, each of those transactions might have abbreviations, special characters, and random numbers. Sure, you’ll find a store name listed here and there. But sometimes these entries make no sense whatsoever. I mean, what is ACH*MX21H43 anyway? Those, in particular, are ACH transactions. What, you ask? Let’s answer that question, today. It stands for Automated Clearing House transaction. The Automated Clearing House is a central financial processing network. They move money between accounts in the United States. It’s a busy network, averaging about $41 trillion in transfers each year. In simple terms, an ACH transaction is an electronic transaction between two banks. Money gets taken out of one bank account and put into the bank account of whoever is getting paid. Be it a service, product or bill, you can use ACH transactions to pay anywhere they’re accepted. Government agencies and corporations use ACH transactions. It’s a very safe way to transfer money. There are two types of ACH transactions, debit or credit. Which you use depends on how the money is being moved around between accounts. Here are some more details about each type of ACH transaction. Debit ACH transactions happen when you have money pulled out of your account. You may set this up with your phone company, trash service, or even Netflix. These transactions usually occur on a schedule. A credit transaction happens when you push money out of your account. You decide to send money out to pay for a service or product. It is a transaction you start each time. You might pay your car registration online using a credit ACH transaction. This is also the type of transaction you do when you pay person-to-person. Do you have direct deposit? Your paycheck is most likely transferred using an ACH transaction, too. Is There a Benefit for Doing ACH? It’s a very convenient and affordable way to pay — and not only for you. Businesses like to set up ACH transactions for their customers and clients. It tends to cost them less than other payment methods. Own a business? You can set up ACH transactions for your customers, too. Follow these tips for 6 easy to use steps. They’re also great because you can track them online. An electronic record gets created at each bank involved in the transaction. You need only log in and view your bank statement to see it. It depends. What kind of transaction are you doing and who are you doing it with? Most bank-to-bank transactions are free. Yet, using a credit transaction can sometimes cost a small fee. Though, it is usually no more than $3. There’s a small fee for using 3rd party ACH transfer companies, such as Paypal or Zelle. These are very convenient, though. They make it easy to send money from one person to another. Some online bill payments charge a processing fee for ACH transactions. Those fees can range from $1 to $3, too. ACH transactions are far more affordable than a wire transfer, though. Those can range up to $20. ACH transactions can take a few days to process. They are only processed in batches a couple times a day. Your payment is at the mercy of someone else’s schedule. And, banks are only open on certain days of the week. Plan ahead. If you are scheduling an ACH transfer, be sure it has plenty of time to reach the payee by the due date. Are There Restrictions on ACH Transactions? There are some rules you’ll want to be aware of when you use an ACH transaction. Check out these important restrictions. There are limits on how much you can transfer between accounts, even in the same bank. You may have a daily cap and a monthly cap on your ACH transactions. You’ll need to check with your bank to be certain. ACH transactions are batch processed. There will be a cut off time for each batch. If you do not process your transaction by the cutoff, it will wait for the next batch to process. Each bank sets their own batch processing schedule. Check with them for specifics. This is very important if you need to pay by a specific due date. What are insufficient funds? It’s when the account doesn’t have enough money to cover the amount of the transaction. You’re charged a fee if you try to process an ACH transaction from it. The bank stops the transaction, too. It’s not cheap, either. That fee can be as much as $35-$50. There are very limited international ACH transactions processed. Most likely, you will not be able to do it outside of the US. ACH transactions are an affordable and convenient electronic payment option. You can choose to use them when you pay for many services and products. Be aware of your bank’s policies, cutoff times and fees. We’ve lots of great articles about money. Check out a few more here.